A no-nonsense, straight-talking guide for decluttering your home. Over the last few weeks I've been working on an eBook and it's finally here! 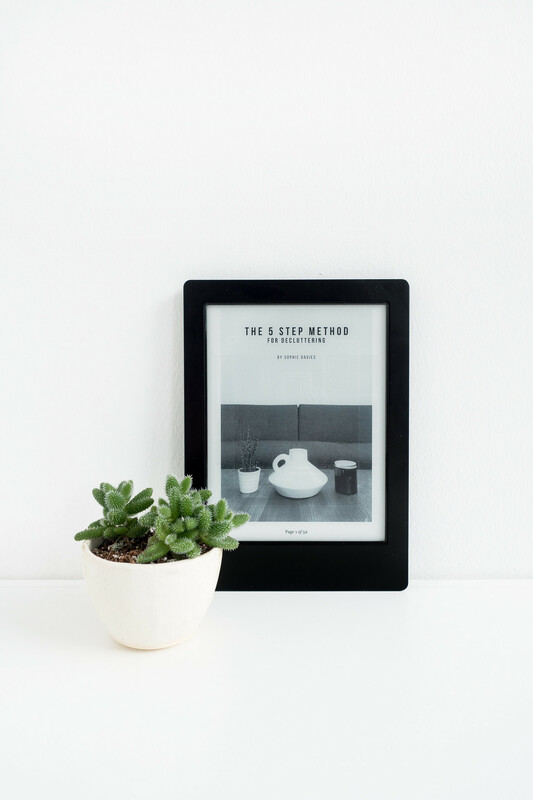 The 5-Step Method for Decluttering is a 50 page eBook taking you through the process for successfully decluttering your home and keeping it that way, forever. 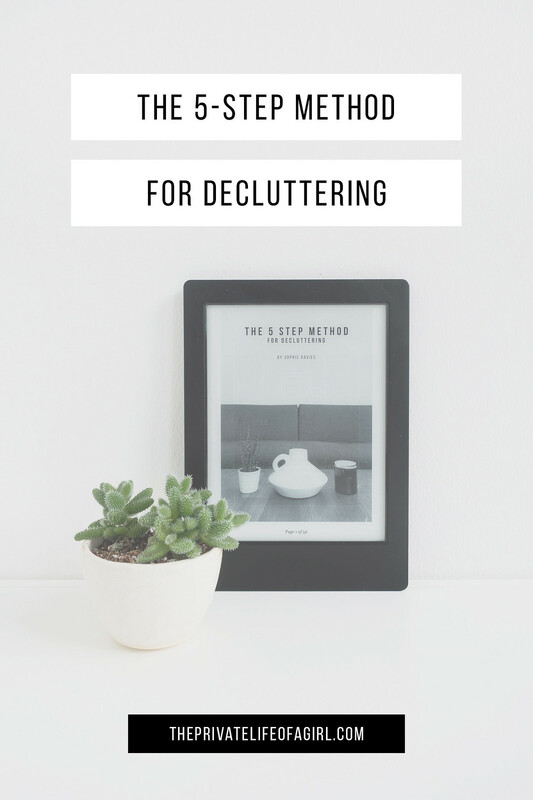 If you are frustrated and overwhelmed by the amount of stuff you own and don’t know where to start when it comes to downsizing your belongings; have tried to declutter in the past but felt overwhelmed, and feel like you are constantly tidying and cleaning; if you’re looking for a simple method for decluttering that works and is easy to follow, this book is for you. You’ll learn why you accumulate clutter, how to prepare yourself mentally for downsizing, what the best method for thoroughly and successfully decluttering your space is, and learn the everyday habits that will keep your home clutter-free, forever. The 5 Step Method for Decluttering will make the process of decluttering your life easy, serve as a guide to keep you motivated and feeling empowered to improve your life through decluttering; setting you on the path for a happier life with less.